Explore an unknown country with your Incas and find lost paths through forests, deserts and mountains! 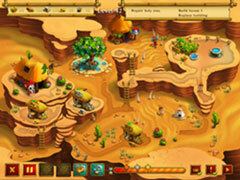 Capture islands, marshes and volcanic landscapes to get closer to their goal. 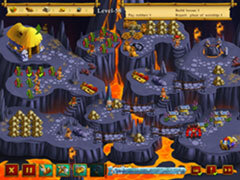 Imagine challenges such as dragons, monsters, or highwaymen, provide enough water for your fields, and light beacons to show the Incas the way. Take care of your raw materials so that there is no lack of wood or stone is missing. Use the shamans to master even the most tricky tasks, with a little magic for blossoming landscapes, bubbling fountains, or the healing of the sacred tree. 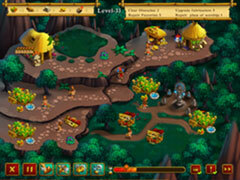 Spend enjoyable hours with "Tales of Inca - Lost Land"!